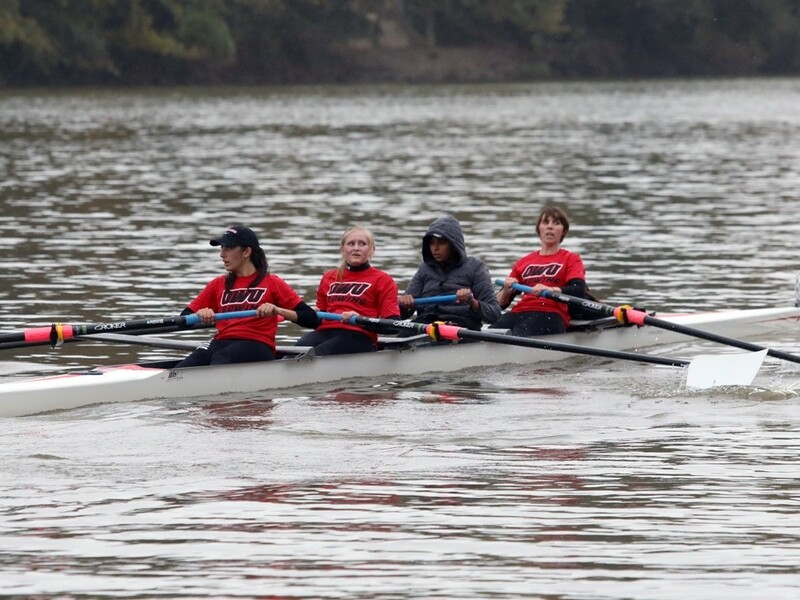 The Ohio Wesleyan rowing team made its intercollegiate debut on Saturday, competing in the Muskie Chase hosted by Marietta College. In the Novice 4 competition, Marietta completed the 6000-meter course on the Ohio River in a time of 26:32.0. Cincinnati finished in 27:56.3, Case Reserve was third in 28:09.6, and the Ohio Wesleyan boat placed fourth in 29:56.5. Ohio Wesleyan also competed in the 500-meter sprints, and finished second in the first Novice 4 flight. Marietta’s boat finished in 1:47.7, followed by Ohio Wesleyan at 1:52.7, Case Reserve with a 1:58.2, and Cincinnati with a 2:26.6. In the second Novice 4 flight, Cincinnati won in 1:48.2, followed by Marietta 1:50.0, Ohio Wesleyan 1:55.4, and Case Reserve 1:58.3. “Honestly I loved training with these group of girls. Being back on the water was a uplifting moment for me and being there with such an amazing group of girls made the experience even better.” said freshman Sana Hussain. Head Coach Andriel Doolittle hopes to gain more rowers in the spring season so as to be able to compete in more events. With a roster of just eight OWU is not yet able to race a full eight, as an eight person boat requires nine people including the coxen. Due to the newness of the program, it was decided to schedule one event late in the season so as to prepare the girls for competitive rowing. “Knowing that we’re going to have a lot of new people to the sport, our goal was to have one event late in the season so that we would have lots of time to establish things, get into a good rhythm, make sure people knew how to row by the time we got to that point because the hardest thing to do is to put people that aren’t ready, out on the race course.” said Doolittle. Doolittle explained that the Fall season is meant to be more of a training season to prepare for the primary season in the spring. It’s then, that championship events occur. 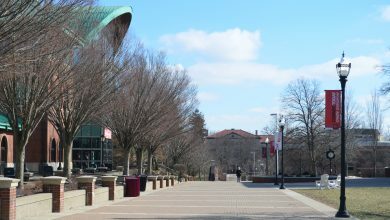 Muskie Chase completes Ohio Wesleyan’s fall schedule with the spring schedule beginning at the end of March, with several races already set for the spring.